A self-confessed foodie lover, Lana Purcell was studying naturopathy when her first foray into the food industry arose. The school kitchen had closed, and so she combined her love of wholefoods, food as medicine and delicious dishes to create Sprouts Kitchen. The business took off and was soon catering six primary schools in the region. Her next business decision took things to a whole new level and threw Lana into the deep-end of catering. “A year earlier we had seen that Bellarine Catering was for sale but we were not in a position to purchase it. When we went looking again we saw that it was still available and so we jumped in and the rest is history,” Lana says. 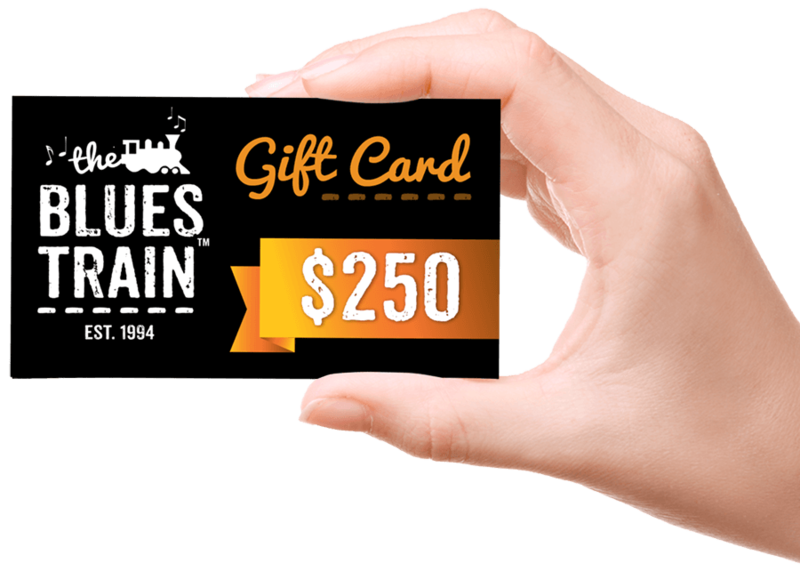 Working on catering jobs throughout the region, one of Bellarine Catering’s biggest existing clients was the Blues Train. With more than 30 shows each year, the catering company was required to craft a buffet-style menu that would keep all 200 train-goers happy—which mightn’t be as simple as it sounds. 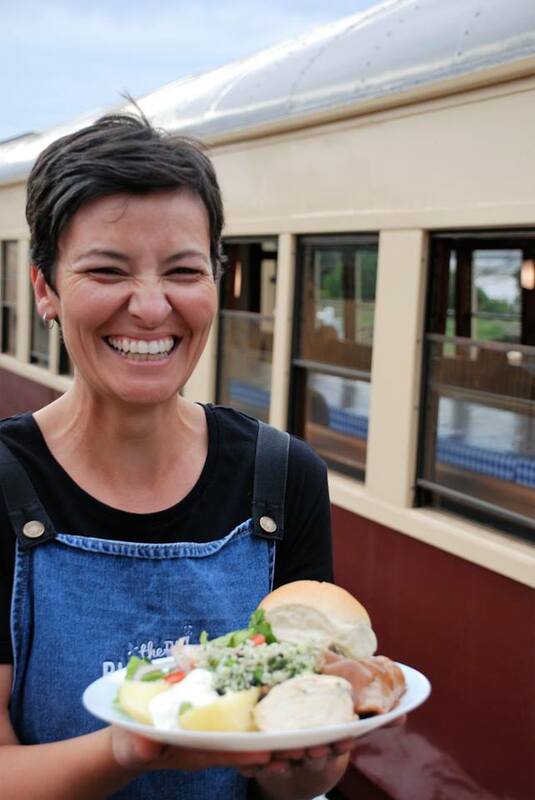 When it came to creating the first menu for the Blues Train since taking over the business, Lana took inspiration from the blues and the event itself. “We had the intention from the beginning to not stray too far from the menu when we took over, as it was obviously a well-oiled machine after so long,” she says. Some of these changes saw the addition of the ever-popular pulled pork sliders – which often saw patrons come back for seconds – and the eight-hour slow-cooked Cape Byron Angus Beef in a blues-inspired sauce (an item still on the menu). Other exciting additions were the roast pumpkin and chickpea salad and cauliflower, broccoli and roast pumpkin cheese bake. The menu on the Blues Train is seasonal, ensuring local produce is utilised to the best of its ability and the change of dishes keeps things exciting for attendees. “Our local butchers sourced us an exceptional product from Cape Byron and we slow cook the beef over eight hours with a special blend of blues-inspired spices. We found an original smoky sauce that we fell in love with and this combined with our love to cook we ended up with a beautiful soul-comforting pulled beef that pairs exceptionally well with a fresh bread roll and some coleslaw,” Lana says. Salads are made fresh on the day and utilise Lana’s passions of delicious wholefoods that everyone can enjoy. There are several dietary sensitive dishes, with gluten-free and vegetarian options available. “Fresh, fun and tasty is our theme for the train,” she says. As we approach daylight savings on Sunday, October 7, the Blues Train menu changes to its second menu for the year. Items on this menu include the slow-cooked Cape Byron Angus Beef; creamy oven-baked mustard chicken breast; fresh seasonal tossed leaf salad; spinach, feta and bacon pasta salad in basil pesto; summer inspired coleslaw; oven-baked jacket potato; roast pumpkin and chickpea salad and a pea and cucumber rice salad. While creating a menu to suit the diverse audience of the Blues Train may be a challenge, Lana and her team find joy in making sure each night is one they’ll never forget. “I love being able to be a part of someone’s special day or event,” Lana says. You can read up on the Blues Train menu here and book Bellarine Catering for yourself over here.